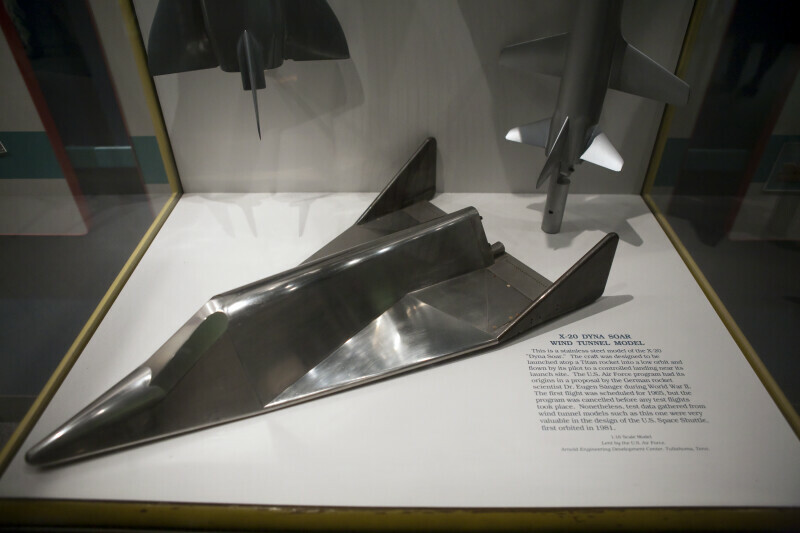 Stainless steel wind tunnel model of the X-20 "Dyna Soar". The program was cancelled before the first test flight took place. WARNING: You are about to download a 16.4 MB TIFF!